Flexible head for improved assess. ideal for confined spaces and car engines. 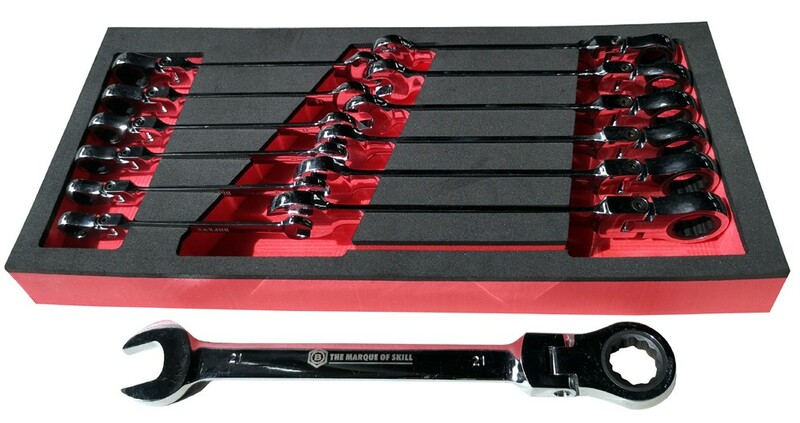 72-tooth ratchet mechanism needs as little as 5° to move fastener compared to a regular wrench needs 30° of sweep space. Britool has been manufacturing tools since 1908. In the 80's the created the Hallmark range. To guarantee the quality to the customer, it was decided that every tool would carry a hallmark just like many other precious metals.